Summer holidays are the time when many Kiwis think about travel options. That’s because most families go off somewhere to enjoy summer holidays. 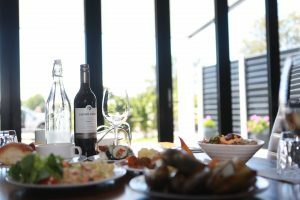 Here are a few tips on how to save on your summer holiday expenses in Rotorua. The first tip is using the special combo available. If you are planning to experience different activities, choose combo option that two or three activities are combined. Using a combo product is always better value for money. Rotorua Heritage Farm located in the centre of Rotorua’s tourism area, has two attractions and one buffet restaurant. 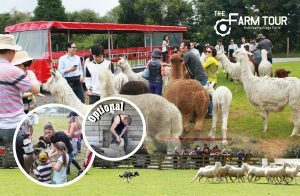 You will find the first and only 3D Trick Art Gallery, the traditional farm tour and Farmside buffet restaurant surrounded by the peaceful farm scenery. You can save travel budget if you are using the special combo. The combo products have an up to 30% discounted price. The second tip is using promotions. The summer season is the period that many tourist attractions want to attract their potential customer. Thus, many attractions offer a special promotion like 'kids free events'. You can find this kind of information through websites like "rotoruanz.com" easily. Lastly, asking at the front desk where you are staying will not disappoint you. They should be able to provide you discount coupons for various activities. Furthermore, you can get additional useful information from them to support your decision on where to go. Spending holidays with your family would be one of the most valuable things and you wouldn't want to exchange it for anything. However, if you have a fun time with your family while spending smartly and saving some budget for your next trip, the joy of traveling will be greater. How about considering the above tips before setting off your holiday.